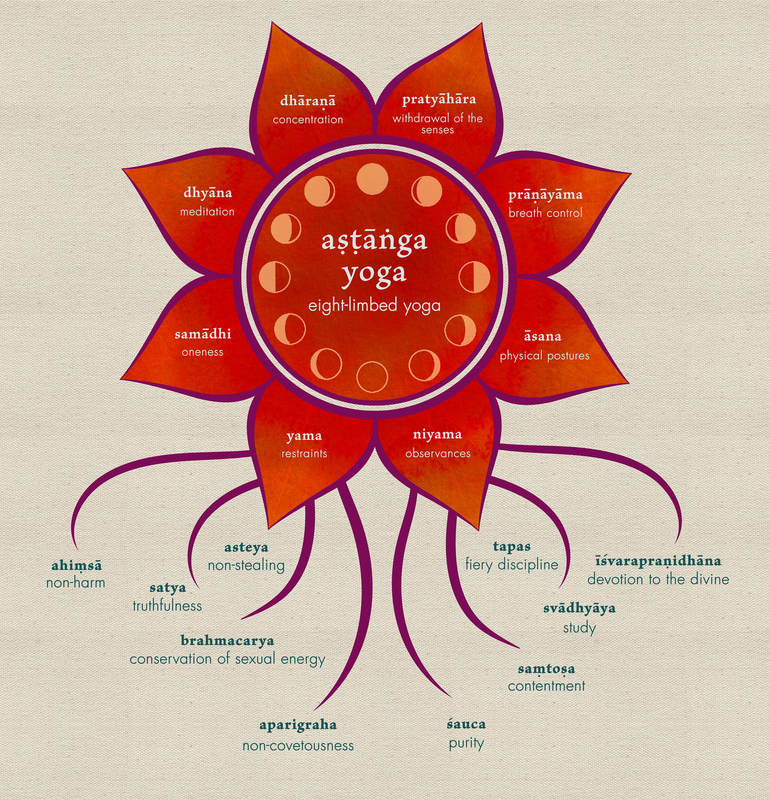 We’re happy to share this illustration of the 8 limbs with the ashtanga yoga community. Feel free to print this image and use it as you see fit. If you need a different file format or a higher resolution, please contact Pranidhi. If this image has been useful to you, consider supporting Yoga Shala West by making a custom contribution through our online store.